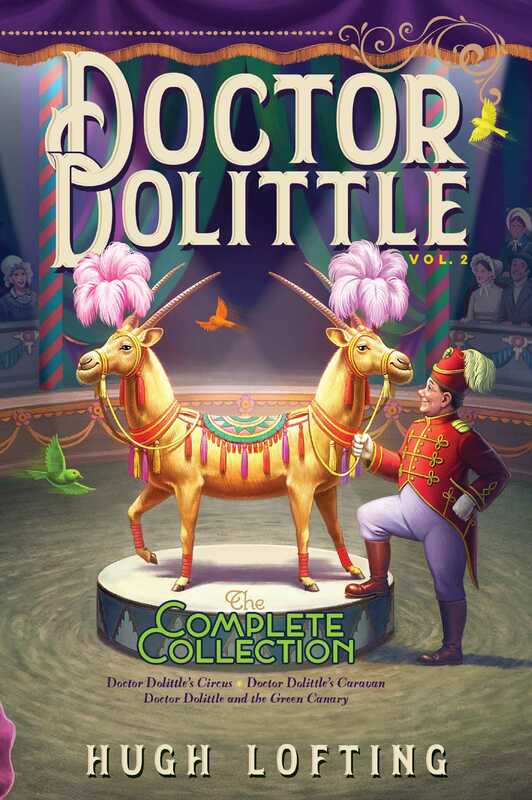 In Doctor Dolittle’s Circus, the doctor realizes he needs money to pay off a voyage to Africa. He joins a circus with the pushmi-pullyu as his attraction. He enlightens a circus owner who cares little for animals, fights against the practice of fox hunting, and helps other creatures in this charming story. In Doctor Dolittle’s Caravan, Doctor Dolittle meets Pippinella, a very special canary who can sing. When he hears her for the first time, the doctor creates a “Canary Opera” (using canaries and other bird species as well), based on her life story. This opera, jointly composed by both the Doctor and Pippinella, becomes an overwhelming success in London. And in Doctor Dolittle and the Green Canary, Pippinella tells her story to Doctor Dolittle in her own words!